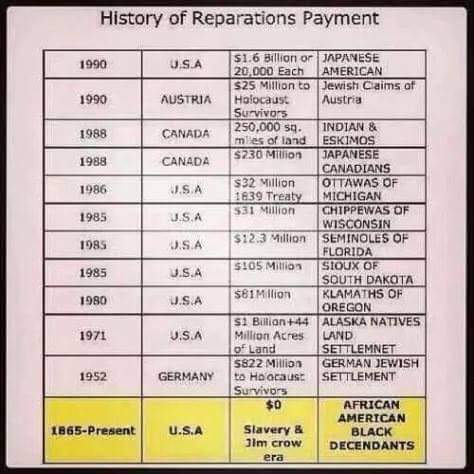 Sorry needy black folk with your grubby thieving hands out,guess you’ll have to get a job like the rest of us responsible black Americans. Besides all them Government handouts equal out to 40000$ yearly and you’ve been soaking it up for quite some time. You are most likely a white supremacist pretending to be a black person, or the biggest uncle Tom of all time, most likely the former. Slavery, Jim Crow, racist white unions was affirmative action for whites. In fact gay white men, white latinos, white people who are one/eighth native American, white women, all receive more affirmative action than blacks, so if anyone has has their hands out, it has been the collective white community for centuries. Enjoy your welfare checks in your trailer park. God bless!